Took me a while to figure out how to express concisely. 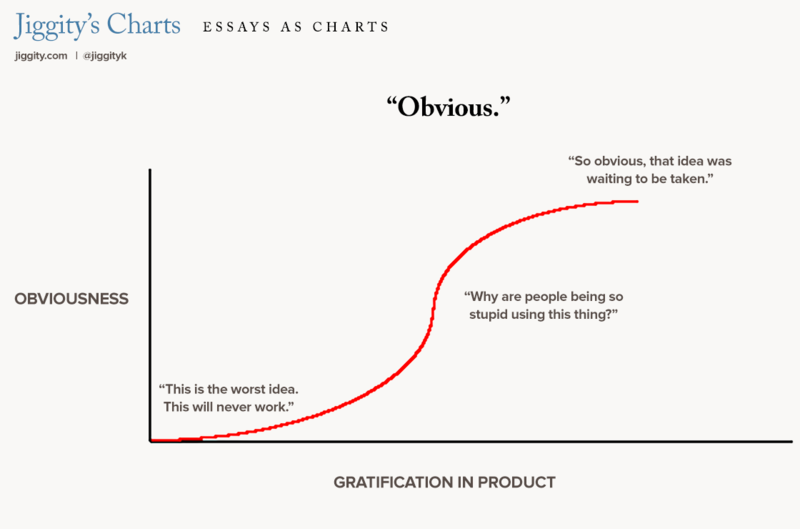 Obviousness is correlated with gratification, not discoverability. Today's essay comes in a different format. The essay tries to point out the subtle difference between the predictability of an idea and the quality of the idea. The ability to identify subtle but potent cognitive biases provides a rich set of ingredients for novel product strategy.